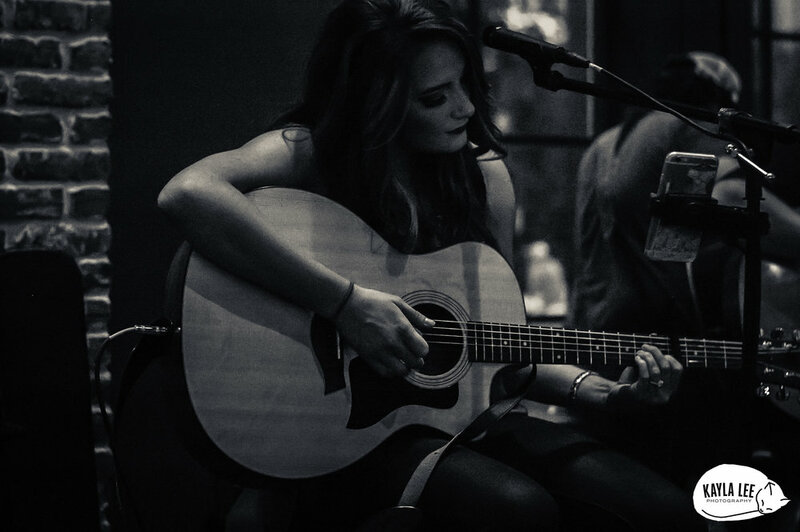 Kaitie Wade, a Seattle native now living in Nashville, is certainly a force to be reckoned with. 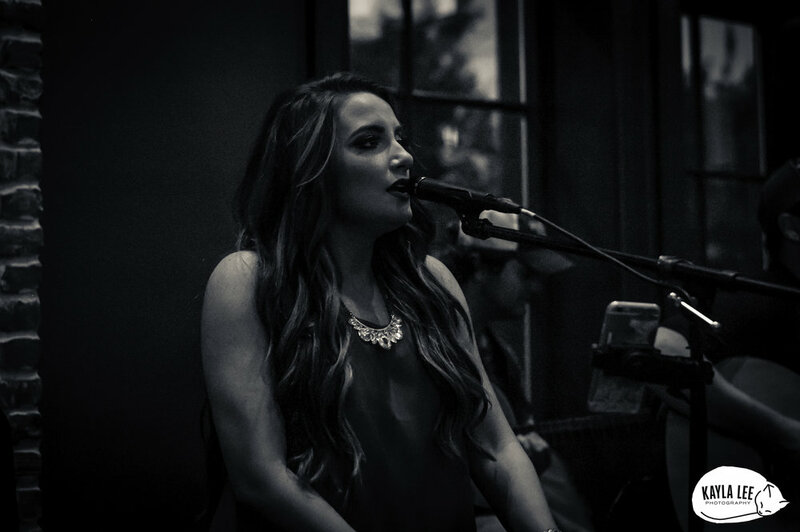 Having moved to Music City in order to pursue her dream of becoming a successful musician, Kaitie is off to a promising start. Carefully crafting feel-good pop country songs jam packed with personal, inspiring, and well placed lyrics, Kaitie's talent shines on her five track EP, Starts With A Song. With Nashville, TN being the birth place of country music, it's clear that in order to succeed in Music City as a country artist you must bring something new to the table. 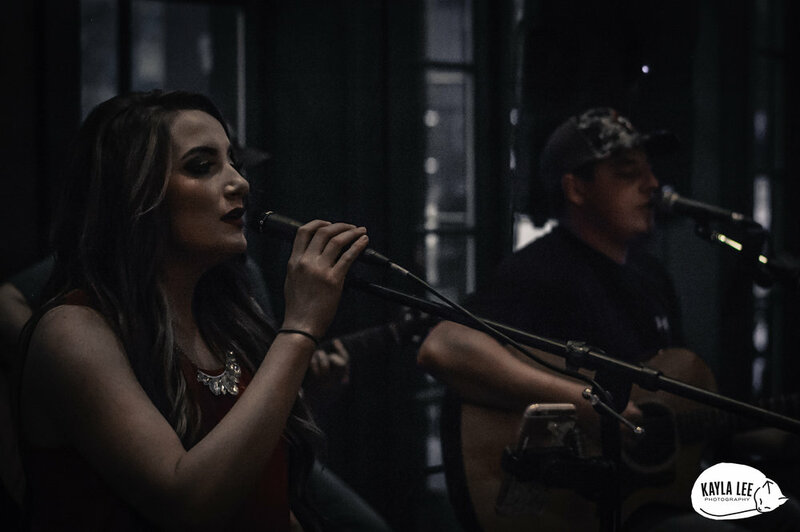 Making her mark with Starts With A Song, it's clear that Kaitie Wade is just getting started. Released on April 28, 2017, Starts With A Song encompasses Kaitie's fresh writing style and impressive vocal range. Exploring themes of love, self doubt, and perseverance, Kaitie delivers a cohesive album that is tied together with her genuine dedication and passion for music. The opening track, "Don't Wanna Miss", is initially familiar but not in the same-old-same-old type of way. Familiar in the sense that you can imagine yourself in this easy to sing along to song, with lyrics such as "We're dancing to music that everyone knows / the night's still young so let's see where it goes / Let's hit the road 'bout half past ten / then kick it downtown 'till 4 A.M" A seemingly perfect summer anthem, "Don't Wanna Miss" has been featured on various radio stations, including Renegade Radio Nashville. Leading into the second track, "Just Makes Sense", Kaitie tells the tale of the ups and downs of a couple's relationship with a lighthearted take, singing "Loving you is like a pair of sunglasses with the polarized lens / driving down the road in our Mercedes Benz / wrapped around each other like a needle and thread / loving you, baby, yeah it just makes sense." While being delivered in a seemingly effortless flow, the fullness of the lyrical content in all of Katie's writing showcases her ability to stray from the typical song topics and give life to her own experiences. Throughout the entire EP, Kaitie is able to maintain the vibrant energy that initially draws the listener in. While there are toned down tracks that are sure to hit home for many, none of Kaitie's songs sound trite or forced. While exposing vulnerability, Kaitie displays the important message that striving for your dreams and not losing sight of your goals may seem difficult, but the reward is worth the effort. The closing title track, "Starts With A Song" is a starkly honest commentary wrapped in a dancable beat, pointing out the ways that people try to buy their way to the top without putting in the hard work. Drawing from her own experiences, Kaitie speaks the truth with lyrics like "Working fifty hour weeks to save up for that EP / some people go to Mom and Dad for money / but they're living in make believe". With a powerful chorus of "Go ahead and tell me 'no' / just light the fire under my bones / I'll fight to the day I die / I ain't gonna compromise", Kaitie shows that your dreams are worth working for. With Starts With A Song being Kaitie's first major release, it's safe to say that her future material will be equally, if not more, impressive. You can listen to Starts With A Song on Spotify, and learn more about Kaitie on her website and Facebook. We had the chance to talk to Kaitie about how she ended up in Nashville, how she's making it in Music City, and the inspiration behind the tracks on Starts With A Song. Check out our interview below! Q: Since you're originally from Washington state, what factors you decide to move to Nashville, TN and did you have any second thoughts leading up to the move? A: I was looking for colleges back in my Junior year of high school. I came across Belmont University in a YouTube video, and instantly LOVED what I saw. Still, though, I never thought I would actually end up here. My mom and dad told me to go ahead and send in a video audition for their music program. I did, and for whatever reason, highly doubted I would actually get in. I said to myself "If I get in I am going". Then I got the acceptance letter and my decision was made. I had a BILLION second thoughts. Severe anxiety, panic attacks, and some very traumatic challenges rose up when I first arrived here at age 17, and did not know a soul. I have always been a home body - LOVE my family and friends back home and LOVE the North West. But, when an opportunity like the one given to me arises, you just can't pass it up and I am SO glad I stayed! I actually have a song about that on my EP called "Diamonds"! Q: Do you feel that the music scene here in Nashville is over saturated with artists, or that there are opportunities available for everyone? A: I think it goes both ways. Like, yes there are a TON of opportunities and you truly never know who you're going to run into-- I just played in front of Jason Aldean's producer last week, and he introduced himself to me after the show! But those opportunities almost NEVER land in your lap. I have to work my tail off to get a gig because, yes, It is very over saturated. Especially being a female country singer. But that is what the hustle is all about - beating the odds! Q: Your EP, Starts With A Song, came out at the end of this past April and your music is uplifting, positive, and definitely catchy! Where did you draw inspiration from for the EP? A: Well, thank you! So glad you like it. So the thing about Starts With a Song is that every song on the EP tells a different story. Every lyric is carefully placed in the song to kind of expose who I am and tell my life story basically. My goal of this record was for fans to hear it and be like "wow, I feel like we're friends now!". "Just Makes Sense" tells the story of my (now) fiance and I's long yet humorous past and how in the end you always will end up where you are meant to be. "Starts With a Song" is one of my favorites on this album because of the message I am conveying - everything in that song is the cold hard truth. People will try to make you compromise, and there are a lot of snakes in this industry - but I ain't falling for all that. I am gonna get to the top with good old fashioned hard work and determination! There are songs like "Don't Wanna Miss" that are super uptempo and you can just jam out to them. There are also intimate deep songs like "Diamonds", a song that I truly felt so vulnerable in writing - I was questioning if I should add it to the EP and I realized the story I tell in that song is a HUGE part of my life and I also believed that I could truly inspire others through it as well. Q: What advice do you want to give to artists that have a goal similar to yours, but are unsure where to begin? A: First off, simply START. Begin writing music, no matter how stupid you think it sounds. Start taking voice lessons or heck, use YoutTube! Try to learn an instrument as well because this can help you so much with writing. Don't be afraid of limitations and obstacles. For me, my biggest obstacle is my own FEAR. As soon as you jump out of your comfort zone, THAT'S when you start to grow both personally and musically. Lastly, know that it takes time. Sometimes it happens over night, but for most musicians we hack at it for at LEAST five to seven years before being able to do it full time and quit our day jobs. Chris Stapleton worked at it for TWENTY years. Aaron Watson used to live in an abandoned gas station. The point is, no matter how broken or lost or confused you feel, know that almost everyone else was in your shoes at some point and look at them now!